Whether you want to amplify sound, to amplify your voice over music or to change the speed of the sound files being played, you will be impressed by this portable amplifier. 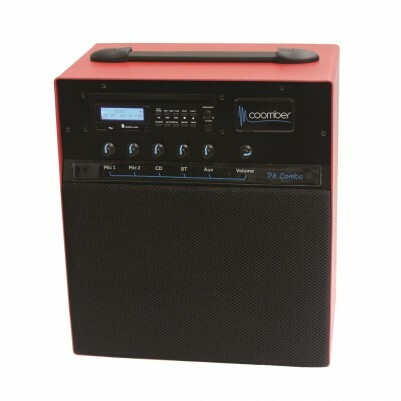 This classic style of portable amplifier has been successfully used in all types of dance classes for 15 years, It can make a real difference in a small dance studio that needs a reliable but easy to use sound amplification solution. It has been kept up to date with current technology both internally and with the ability to amplify any audio source such as IPods, MP3 players and laptops, smartphones and tablets. Slow down CDs and MP3 files on USB or SD Card using the optional CD player. Connect smartphones and tablets via Bluetooth. Amplify iPods and other sound sources. Use optional wireless microphones to amplify your voice over the music for instructions.